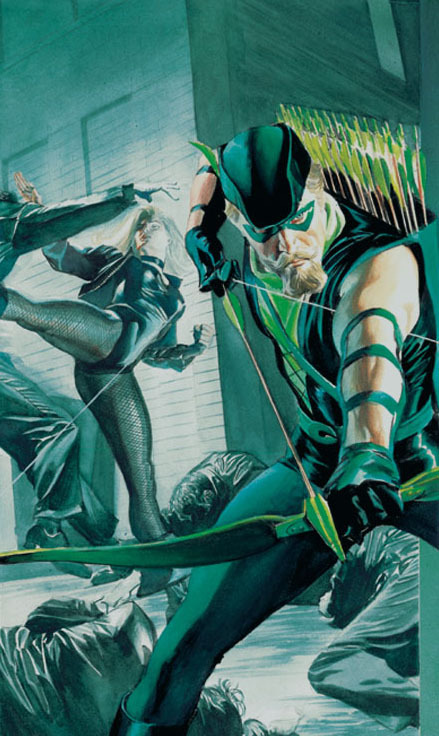 Green Arrow: The Longbow Hunters | The Daily P.O.P. I had written recently about the revisionary process that comic book creators face when trying to breath new life into a third-tier character in regards to Aquaman. It’s a constant problem, essentially when you realize that many of these creations have been around since WW2. As the demographic of readers that publishers are targeting changes, so must the characters themselves it seems. For this reason both DC and Marvel Comics felt the need to make their characters more ‘gritty’ in the 1980’s. Adapting some of these admittedly dated concepts to a more sophisticated and adult take can be hit and miss depending on the starting point. 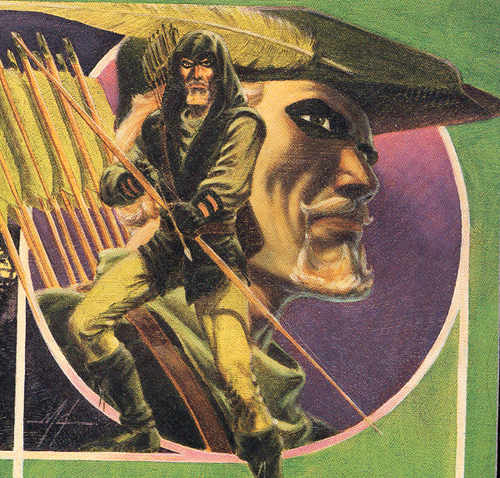 In the case of Green Arrow, Mike Grell had already been involved rather deeply with the superhero and had developed a feel for what made him tick. The result isn’t so much of a jarring modernization but more of a maturing of the creation. That doesn’t mean it is without flaws, but it is an interesting and refreshingly different place to start. While not as marketable as other superheroes, Green Arrow had a cult following. In fact, he even made a guest appearance on the Super Friends cartoon. As Oliver Queen questions his future, even to the point of proposing that he and Black Canary start a family, he discovers a new reason to fight crime as a series of grisly murders haunt the populace. The tone of Longbow Hunters is greatly assisted by the lush water colors. The city streets are slick with rain and the fear-filled faces of murder victims splattered red with blood. Grell perfectly captures the mood and character of Green Arrow even to the point of retelling the time-honored origin story where Queen single-handedly captured a gang of drug runners on a deserted island as something that the press trumped up as bigger than it really was. It’s clear early on that Longbow Hunters is determined to have a realistic slant rather than a fantastic one. From the murder mystery/arms dealing plot to the redefining of an aged super hero, this is one of the first comics that I read where the term’ suggested for mature readers’ makes perfect sense. Kids just wouldn’t get it. Grell expertly connects the dots of the influence of a ‘simpler time’ that Robin Hood evokes to Oliver Queen combined with the identity of a hunter that he picked up while shipwrecked on the island in order to present his new more refined Green Arrow who feels somewhat silly using trick arrows and admits that he walks a thin line between being a hero and a hunter. 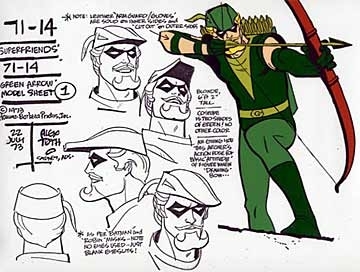 To provide a foil to Green Arrow as he hunts the killer on the streets, Grell introduces the young archer Shado. An interesting character, I admit that I was confused by her inclusion at first. It becomes clear over the course of Longbow Hunters that she is a reminder that the crime that Oliver Queen is fighting is very real and not so abstract as it had been in previous comic books. She also provides a deeper look into the soul of Green Arrow that even Queen himself is not comfortable with. After all this gushing, let me explain where the flaws are. The plot is… more than a little convoluted. There is a killer on the streets striking at lone women that Black Canary is investigating. There is also an archer killing old men who oddly have no military history though they have training and ties that imply otherwise. The two plots circle around each other so vaguely that I often got too lost in their intricate lines to figure out how they related to each other. There’s also some complicated plot to sell guns to terrorists in order to launder drugs… or money… I’m not sure but Oliver Queen ends up with a duffel bag full of unmarked bills. In time it all comes together but it still strikes me as being more at home in a Death Wish movie than a Green Arrow comic. Another strange thing is the treatment of Black Canary who gets brutalized in this story. It seems too extreme for my taste and done mainly for sensationalism. It served the plot but still just never feels right to me. This is a woman who fought supervillains yet she gets taken in by some old guys. Strange. The entire experiment of the Longbow Hunters was a roaring success, spawning an ongoing series that Grell wrote for 80 issues. It cemented the character in place as a sophisticated superhero who fought real world crimes. This makes it all the more sad when it came time to transform Oliver Queen back into a superhero… then kill him… then bring him back from the dead in a a comic written by Kevin Smith. It’s an unusual and happy event when a comic book creator who is truly invested in a character gets an opportunity to bring about the kind of change that Grell did with Green Arrow. Despite its challenges, no matter what else happens in this character’s long history, the Longbow Hunters remains a high watermark. This Post was posted in DC Comics, Green Arrow and tagged green arrow dc comics. Bookmark the permalink. Thanks, that was a good read. Green Arrow is definitely my favorite comic aharacter out there! He really is something, ain’t he? Thanks for reading!